CSC & I have a special love towards cabbage rolls, for some reason. So, I decided to make them! 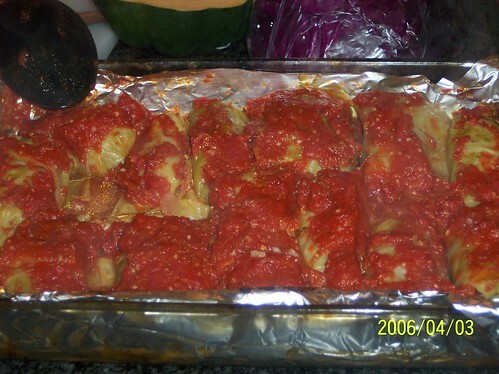 Note: if someone makes you cabbage rolls from SCRATCH, they love you! It was soooooo labor-intensive, the rolling! 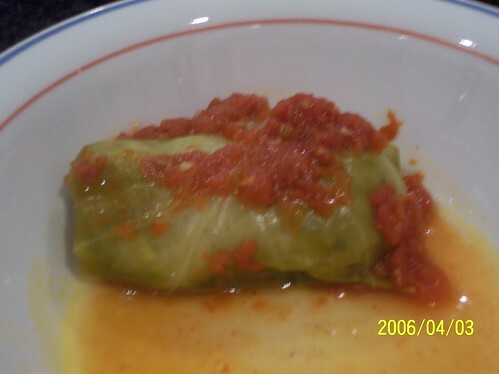 Next time, perhaps I'll do mock cabbage rolls... So that's why there are such recipes! I saw recipes for "mock cabbage rolls", "fake cabbage rolls", and "cabbage 'roll' casseroles" while I was doing the research. Now I know why! 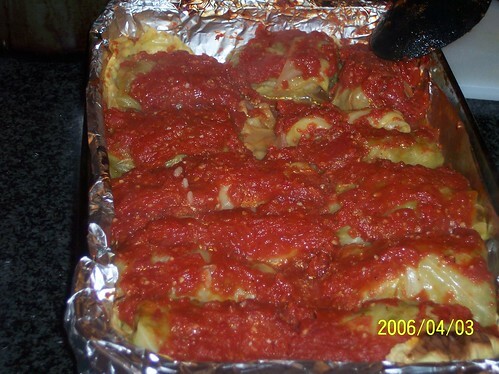 There were actually more cabbage rolls made than appear in the pictures. That larger dish (pictured) had the rolls, but there's a smaller dish where I've already given up and put a bed of cabbage, put the filling, and topped with more cabbage: a "mock" cabbage roll dish. We froze the rolls so we can have cabbage rolls anytime! It's been a while since those cabbage rolls. Hmm, maybe it's time to make them again. So good. But, the labor, the labor!